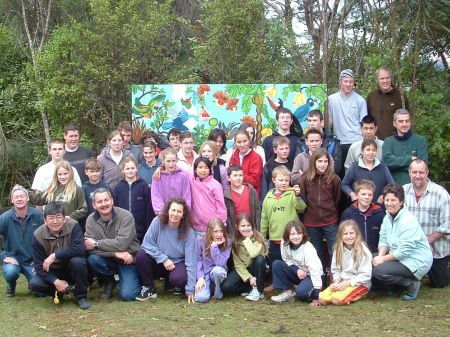 The 2005 Winter Camp was held at Te Kauri Lodge as usual. Considering the weather leading up to this week, we were very lucky in that we only got caught in a few light showers while we were out and about. Day 1: Arrive at 10am. Set-up and then lunch. Tramp down Devlins Track and back up Manuka. Games in the evening. Day 5: Pack & tidy up, then head home for some sleep!